I am a strength coach who helps others become stronger versions of themselves through strength training, movement and self-awareness. In this podcast, I will be discussing anything and everything related to training, nutrition and movement. In addition to that, I will be hosting Q&A sessions and interviewing other trainers and coaches in the health industry. 9:20 - Ask for help! As always, thank you for listening! If you like what you hear, please share the podcast with a friend or two and drop a review on Itunes as well. You can learn more about me at my website -www.theodorelim.ca or on instagram @theodore.lim. Catch you next time! In this episode, I answer one of my client’s question regarding training and soreness. She asked, “Should I be sore from my training? How do I know I’m making progress if I’m not sore?” This was a great question that opened up the conversation around whether or not soreness is the goal and how our CNS (central nervous system) plays a role in our performance and recovery. I also introduce the principle of progressive overload and why this is what we should be focusing on when it comes to our training. As always, thank you for listening. If you like what you hear, please share the podcast with a friend or two and drop a review on Itunes as well. You can learn more about me at my website -www.theodorelim.ca or on instagram @theodore.lim. Catch you next time! 2:00 - Should I be sore from my training? How do I know I’m making progress if I’m not sore? 21:00 - What is Progressive Overload? 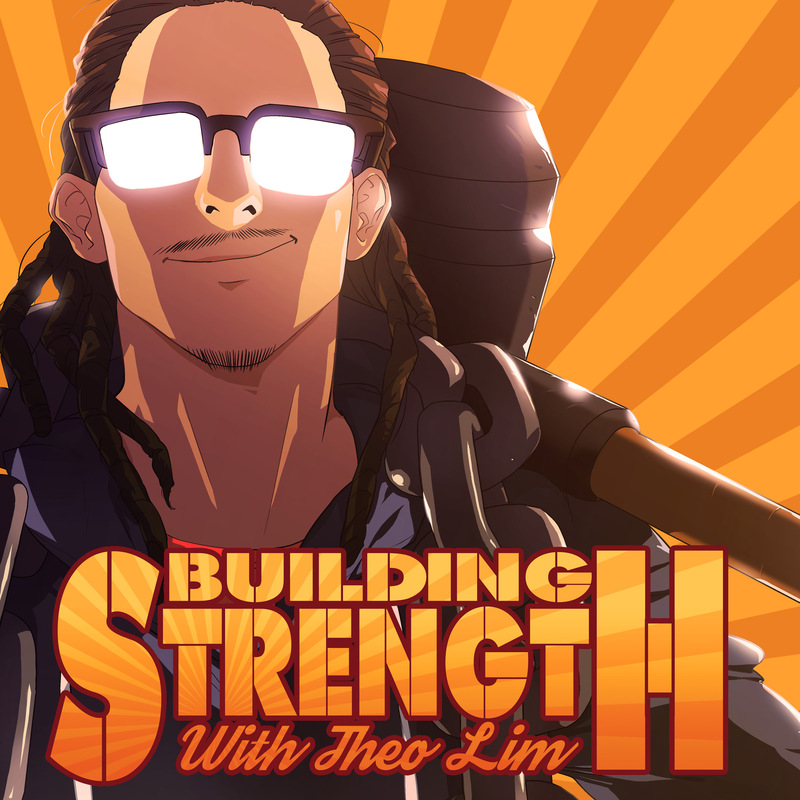 In this episode, I deep dive on a set of listener questions based on strength training, how to establish and work towards certain goals, nutrient timing, supplementation and learning new skills. I am trying out a new format for this podcast and I think this will be very beneficial for my listeners. If you have a question or multiple questions, please send them over and I will dedicate a full episode to answering them. You can email me at theolim7@gmail.com or message me on instagram @theodore.lim. 1:00 - How do I establish goals in the gym? 6:00 - Setting goals - what is important to you? 17:00 - How to progress towards my goals? 28:00 - What about nutrient timing? 39:00 - Do I need to take supplements? In this episode, I share how I recover from my training through proper programming, sleep and nutrition. I dive into the importance of sleep and how it affects my performance in the gym but more importantly - outside of the gym. I also talk about what I’m currently doing for my training and how I am managing my recovery throughout the week. These days, I am very aware of my energy levels and how my training, nutrition and sleep affects those energy levels. This is a very important topic because our ability to recover not only affects our performance in the gym - but our performance in LIFE. n this episode, I share my experience with meal prepping and what I’ve learned over the last 8 years. Over the last 8 years, I’ve teared down the process to make it as efficient and effective as possible. This episode is for those who are looking to shake up their meal prep process or even for those who are looking to start cooking for themselves but don’t know how to begin. I share my favourite recipes which include ground beef and vegetables, steak, chicken thighs and rainbow trout. I also dive into why I eat the way I do and how it relates to my goals. Hope y’all enjoy this one and learn a few things that you can directly apply to your own meal prep process. As always, thank you for listening. If you like what you hear, please share the podcast with a friend or two and drop a review on Itunes as well. You can learn more about me at my website - www.theodorelim.ca or on instagram @theodore.lim. Catch you next time! 10:00 - Do you satisfy your cravings? 19:00 - Do you have a rice cooker though? In this episode, Coach D (@powerphysique) joins me and proceeds to drop knowledge bomb after knowledge bomb regarding training, coaching clients to successful transformations, how neurotyping has changed the way he trains and his biggest piece of advice for aspiring lifters and coaches. Do not sleep on this episode. I knew D was going to come on here and crush it and that is exactly what he did. Hope y'all enjoy this one! 42:00 - Is this your year? In this episode, I share what I’ve learned through the process of tracking my income and expenses and WHY I think it is so important to face your finances head on. I also share HOW I track my expenses on a daily, monthly and yearly basis. I know that it can be uncomfortable to talk about money but it needs to be done! I know, I know, money isn’t everything. It’s really not. BUT, it is a pretty big part of our lives. I think it is important to face your financial situation head on. From a young age, I’ve always been aware of the importance of money and how important it is to know where your money is going. 8:00 - Do you know where your money is going? 13:00 - Do your expenses match your goals?